This update to Stacks fixes a bug that could prevent some global templates from publishing changes. We made one more small change to this release. 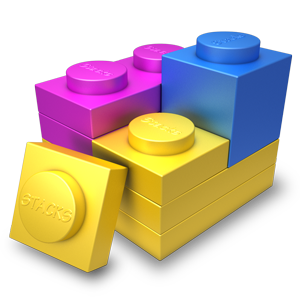 If you download the release from our website (instead of getting it via auto-update) then you'll notice that both the RapidWeaver 5 and RapidWeaver 6 versions of Stacks come in a single disk image. The hope is that this will making getting the verison you need easier than ever. Double click the dmg file to open it. Double click a plugin file to install it.